Every safari is unique; whether you go to the same sanctuary at different seasons or whether two different people go on a safari to the same park on the same day, the experiences rarely coincide, and in fact, may be poles apart. I have travelled to most major game parks in Kenya, especially the Maasai territories, but the county of the Samburu tribe had eluded me thus far. Samburu National Reserve in North Kenya is an arid scrub, and therefore, an easy arena for sightings, which is part of its natural charm. 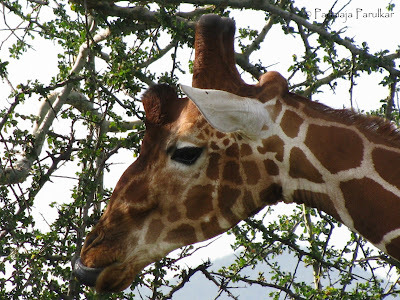 Many friends had vouched for this safari as notch better than Maasai Mara, more spectacular due to its endemic fauna not found commonly elsewhere. 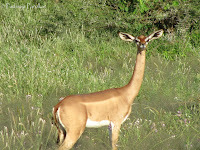 Grevy’s zebra, the largest of the species, with closely bunched stripes; reticulated giraffe with its liver-like pattern of patches; Gerenuk antelopes that stand on hind legs to browse through trees and the long-horned Beisa oryx reside here, exclusively. 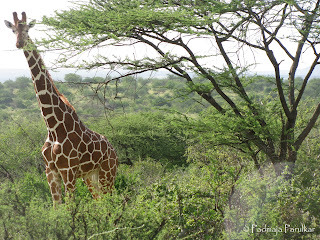 Our tour of Samburu was not the typical safari that you may read in travelogues, and here's why. As gleaned from newspaper reports, Samburu, to my mind, was notorious for its drought and for bandits from across the border in Somalia waylaying tourists. Two years back, a large part of the park was engulfed in flash floods in which few lodges were washed away and the tourists had to be airlifted to safety. 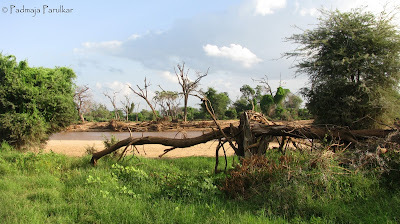 This notoriety made Samburu seem like a distant, mysterious land. This December, unprecedented rains resulted in the flooding of the Ewaso Nyiro river on the edge of the park altering its ecology and climate, drastically. We were not sure if it would be prudent to go ahead with our visit, but a week-long dry spell was enough for me to stay on the original course. 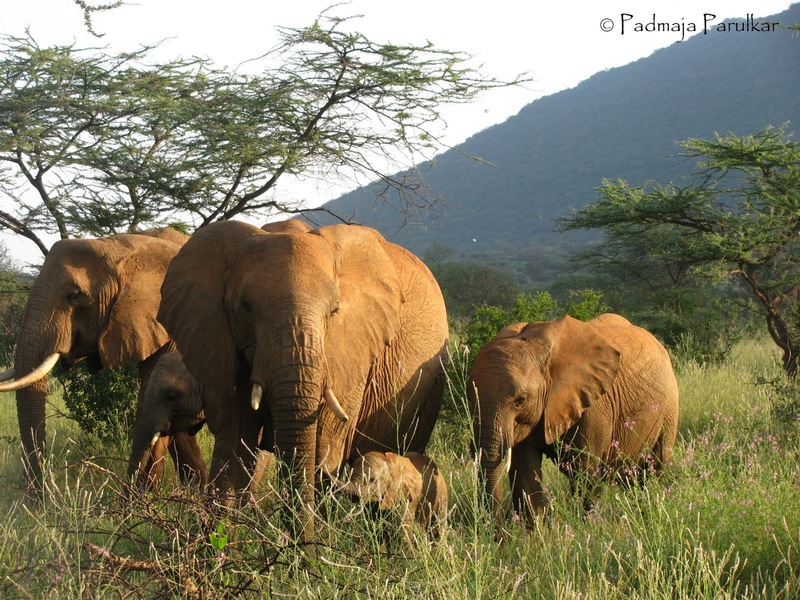 Post-deluge, Samburu wore a green garb that was against its true nature. The desert of Samburu became an oasis, the sweltering savannah had become green and cool such that resident rangers had not witnessed in the past 30 years. The forest roads were dry river beds carved out by flooding waters of the fortnight before and at other places, sandy, with the soil swept down the eroded hillsides. Grass tussocks sprouted where the wheels of safari vehicles skirted the road centre. Dudus (insects) - bugs and beetles - buzzed at ground level, butterflies flitted about the white flowers bedecking low foliage, and birds - starlings and weavers - weaved in and out of trees and trailed skywards breathing life into the landscape. The lodge where we camped for two days was severely undersubscribed; subsequent to Kenya’s military engagement with Somalia, tourists had been steering clear of the North-eastern circuit. There were just two other families apart from us, the turnout of security guards was at an all-time low, the police force was conspicuously absent and the resident doctor was on year-end leave! The premises were not fenced (many game parks in Africa are not fenced as they are built to be in harmony with the natural surroundings and the wildlife) and at night an askari (security personnel) with a rungu (club) accompanied us to the dimly-lit dining area; it was not economically viable for the lodge to be comfortably lit up. In the pitch black night, with just the askari’s torch to feebly light up the ominous trees and bushes, we could only hope that we would survive the bush adventure. 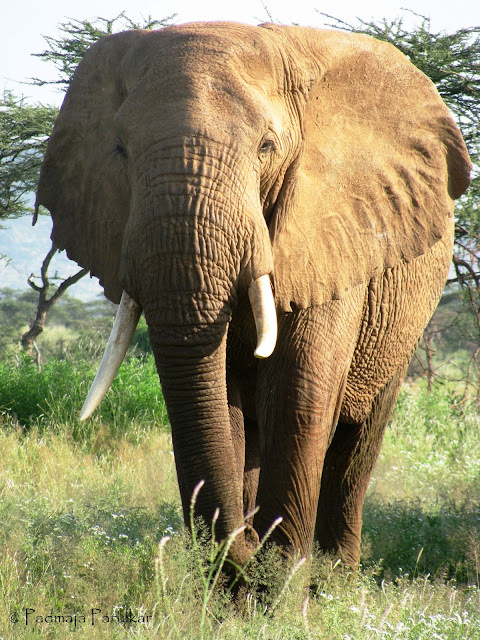 When asked how the askari protected himself from straying wildlife, this is what he had to say: “Usually elephants come by and when they approach us or are too close, we simply hurl the rungu at them and they disappear. We retrieve the rungu in the morning, and meanwhile, replace it with another.” I dared not contemplate the eventuality if the club were to miss the target or the gesture, itself, were to backfire! 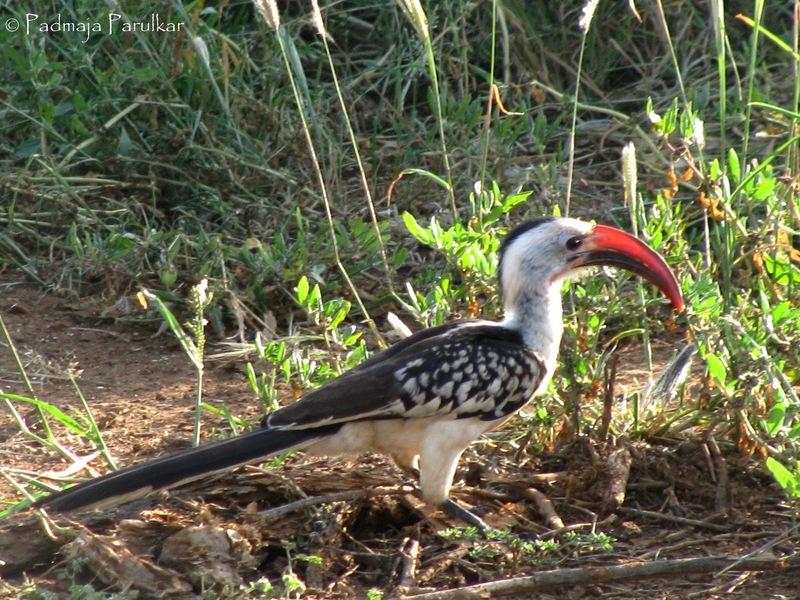 When daylight dawned, I stepped on to the verandah to greet the open plains, when an exotic-looking bird, identified later as the red-billed hornbill, made bold to land within a foot of me. 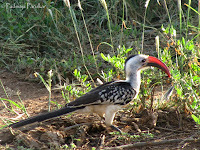 As the day wore on, I realized that there was no getting away from hornbills - red-billed, yellow-billed or African grey - that hovered around us ubiquitously. 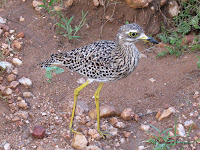 In Samburu, it is possible to take birds as tame but this perception is misplaced; they are as wild as nature designed them, it is just that they have been so protected and undisturbed here that they have come to trust humans totally. Add to that their own curiosity quotient for this strange two-legged creature and you’ll see why they are checking you out at close quarters. It appeared to me that Samburu resembled verdant Tsavo this season, where birds were more prominently visible than mammals. 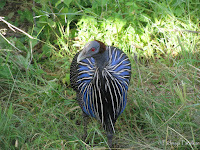 It is here for the first time that I saw the vulturine guinea fowl, country cousin to the helmeted guinea fowl, more abundantly observed in most other parks. Striking in its cobalt-blue plumage, the red-eye peers fearlessly into the camera. 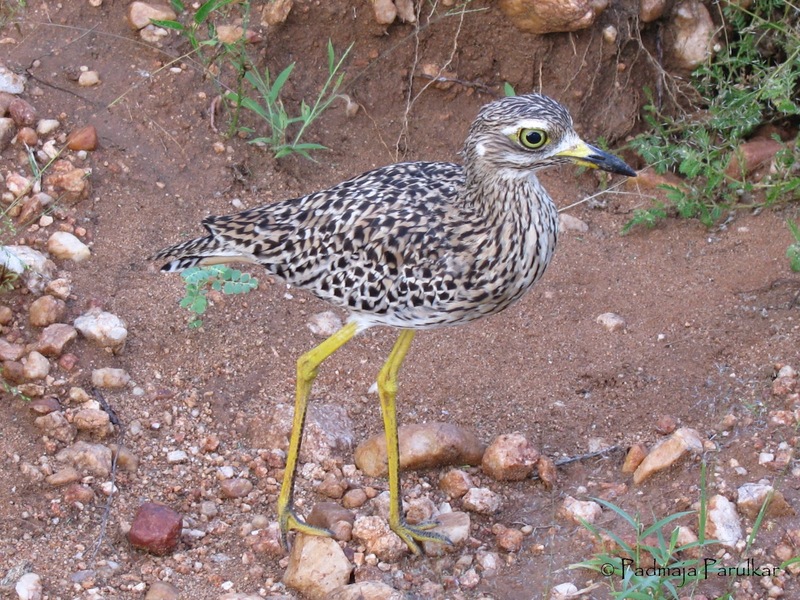 Similarly, a Thicknee (also called stone curlew) pattering by the roadside, stops as I reach out for my camera, faces me, and poses unafraid. While the change in weather served us Nairobi-residents well, the weed that swarmed the acacia woods and hid the game was a spoilsport. 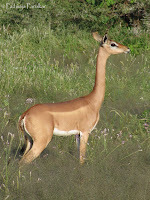 The very sparseness of African savannas or woodlands affords unhindered viewing and enables easy sighting of wildlife. 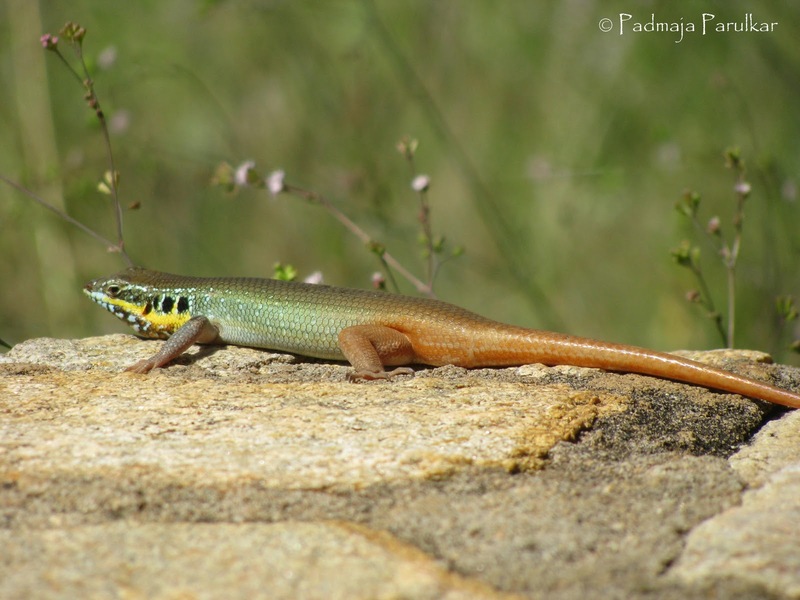 Dry weather or desert conditions also mean that the wildlife congregate or head towards water bodies, that predators and prey lurk around specific trajectories and can be trailed or tracked. But with plenty of rains and fodder, the animals disperse over a larger range making spotting a challenge. 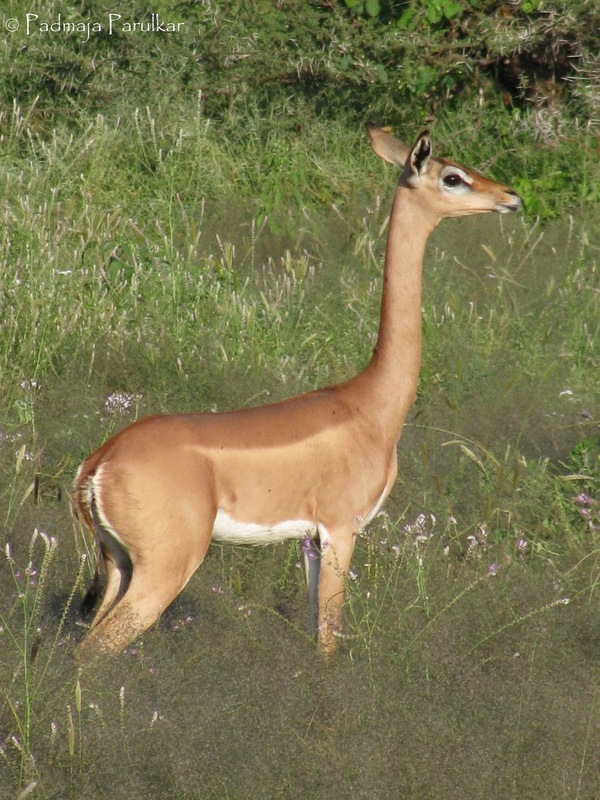 For a long time, all we saw were the dainty dik-diks and the gargantuan elephants. 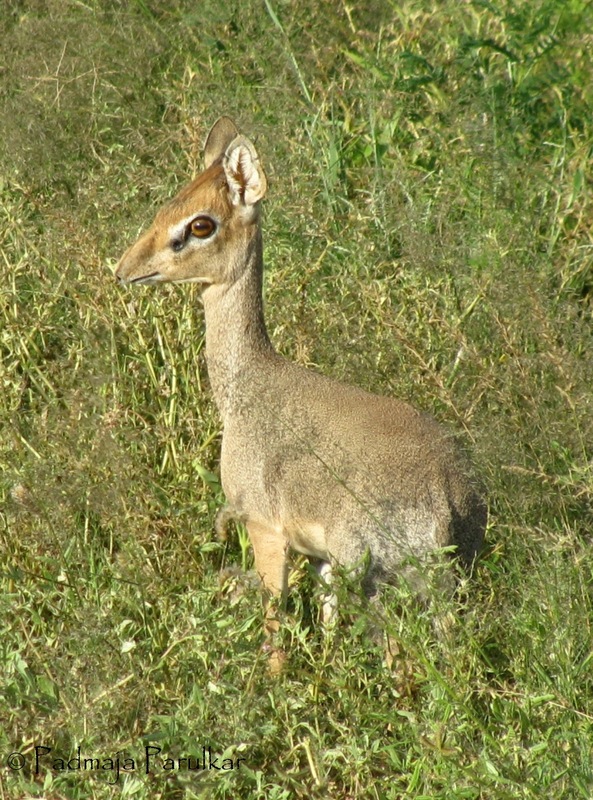 Doe-eyed dik-diks cavorting on the paths would jink in a sprightly manner and disappear in the bush at our advance. Kirk’s Dik Diks, often found in pairs, are so devoted to each other, that when one of them dies the other ‘commits suicide’. “When one of the pair dies, its partner gets so traumatized that it deliberately exposes itself to a predator,” says my son who is a better guide than the best ones I have come across! In the African ‘jungles’ whether you see the big cats or not, whether you tick off the Big Five or not, you cannot miss the zebras. 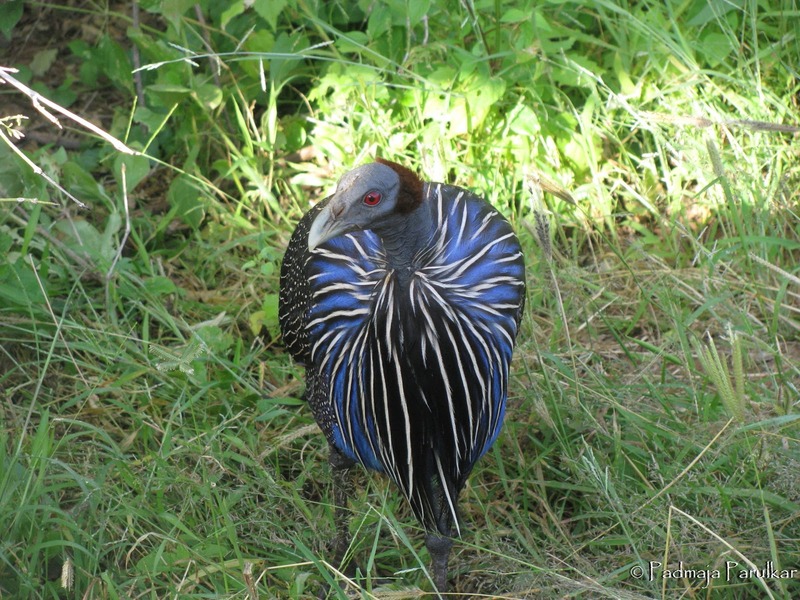 But Samburu’s special species of zebra seemed to have crawled into the weed work! Grevy’s zebra were conspicuous by their absence and four game drives could not elicit their presence. 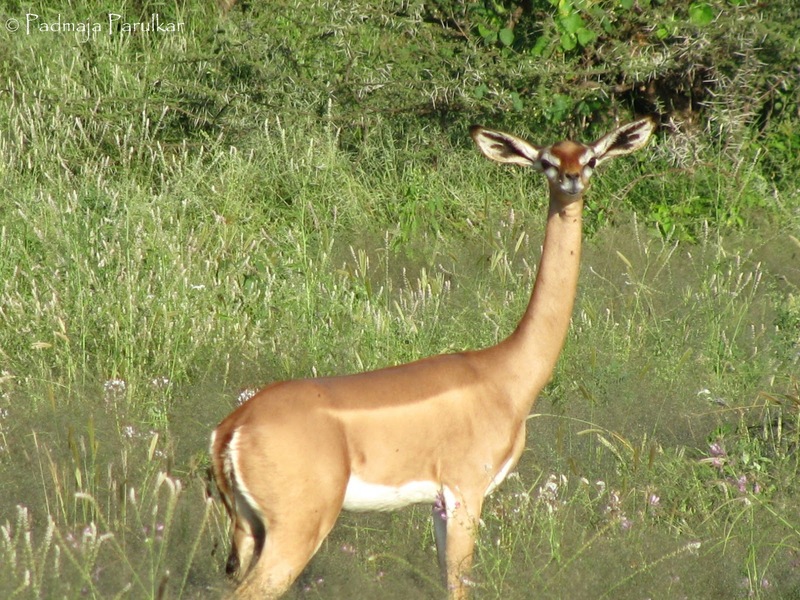 We did see the mousy-faced Gerenuk antelope, but the glut of food meant that the antelopes had no need to stand on their hind legs and extend for out-of-reach foliage - a quintessential Samburu snapshot. A herd of Beisa Oryx, a desert species, presented itself but looked out of place in the prosperous veldt. Even as I was wowing the black stripes on their grey muscular bodies and their spear-like elongated horns, the guide hurtled past in unusual hurry. 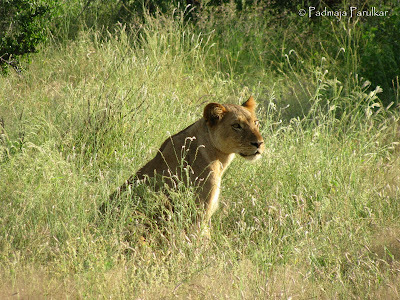 He had been alerted of lionesses nearby. Unknown to the Oryx, a lioness was stealthily stalking them and a tense drama was building up. “The lioness has to tackle the Oryx skilfully; any wrong move can result in the Oryx goring the lioness to death,” informs the guide. 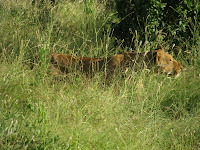 Why then, I wonder, does the lioness bother to hunt the Oryx when it can settle for an easier prey. 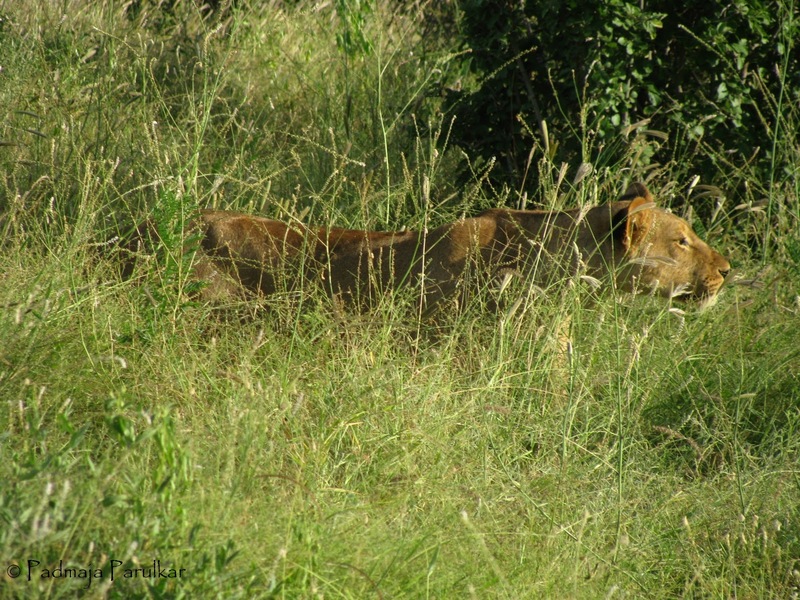 After a long interval sensing that it wasn’t going to be easy to hunt the herd through the thick tall foliage, the lioness relaxed and gave up the chase. In this park, at one point of time, a lioness and an Oryx had a strange association which has come to be a legend. 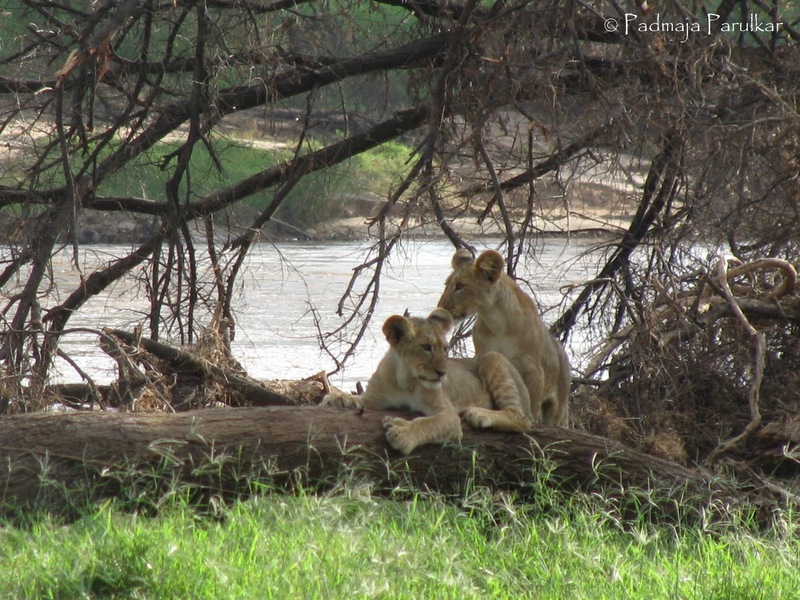 More than a decade back, a lioness adopted an Oryx calf and took it under its wings. The lioness’ motherly instincts toward the Oryx were so strong that after the calf died due to starvation, it went on to adopt another, this time allowing it to go to its biological mother for suckling! Of course, the calf fell prey to a male lion, as was bound to happen. 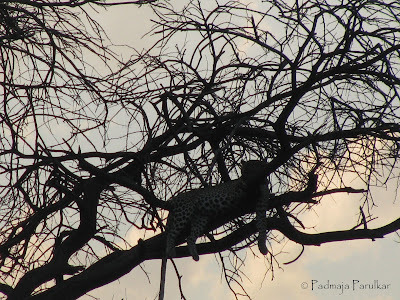 Perhaps, the most memorable Samburu scene would be that of a leopard, at dusk, resting nonchalantly, silhouetted against an olive tree. It is a fitting finale that where the foliage had swallowed all animals away from sight we should see the ever-elusive and reclusive cat openly dangling in air. 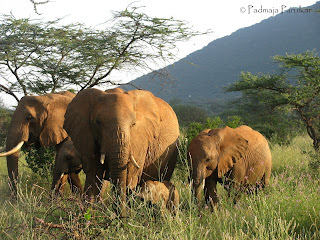 But above all, Samburu is a land of elephants. We saw waves upon waves of elephant clans, contentedly, foraging through the greens, so close we could have touched them if we wanted to! Note: Safari Salama is a greeting in KiSwahili which translates as "Bon Voyage" or "...Good trip".